2 The high priest Ananias 1 ordered his attendants to strike his mouth. 7 When he said this, a dispute broke out between the Pharisees and Sadducees, and the group became divided. 8 For the Sadducees say that there is no resurrection or angels or spirits, while the Pharisees acknowledge all three. 10 The dispute was so serious that the commander, afraid that Paul would be torn to pieces by them, ordered his troops to go down and rescue him from their midst and take him into the compound. 12 When day came, the Jews made a plot and bound themselves by oath not to eat or drink until they had killed Paul. 13 There were more than forty who formed this conspiracy. 14 They went to the chief priests and elders and said, “We have bound ourselves by a solemn oath to taste nothing until we have killed Paul. 16 The son of Paul’s sister, however, heard about the ambush; so he went and entered the compound and reported it to Paul. 23 Then he summoned two of the centurions and said, “Get two hundred soldiers ready to go to Caesarea by nine o’clock tonight, 6 along with seventy horsemen and two hundred auxiliaries. 27 This man, seized by the Jews and about to be murdered by them, I rescued after intervening with my troops when I learned that he was a Roman citizen. 28 I wanted to learn the reason for their accusations against him so I brought him down to their Sanhedrin. 29 I discovered that he was accused in matters of controversial questions of their law and not of any charge deserving death or imprisonment. 31 So the soldiers, according to their orders, took Paul and escorted him by night to Antipatris. 32 The next day they re turned to the compound, leaving the horsemen to complete the journey with him. 33 When they arrived in Caesarea they delivered the letter to the governor and presented Paul to him. 35 he said, “I shall hear your case when your accusers arrive.” Then he ordered that he be held in custody in Herod’s praetorium. 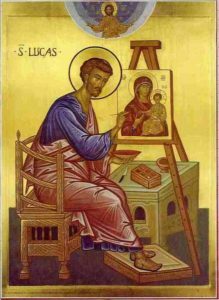 3  Luke portrays Paul as a model of one who is obedient to the Mosaic law. Paul, because of his reverence for the law (⇒ Exodus 22:27), withdraws his accusation of hypocrisy, “whitewashed wall” (cf ⇒ Matthew 23:27), when he is told Ananias is the high priest. 6  By nine o’clock tonight: literally, “by the third hour of the night.” The night hours began at 6 P.M. Two hundred auxiliaries: the meaning of the Greek is not certain. It seems to refer to spearmen from the local police force and not from the cohort of soldiers, which would have numbered only 500-1000 men. 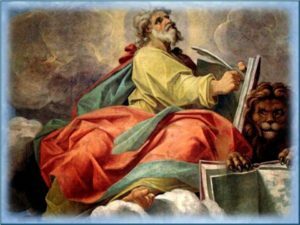 7 [26-30] The letter emphasizes the fact that Paul is a Roman citizen and asserts the lack of evidence that he is guilty of a crime against the empire. The tone of the letter implies that the commander became initially involved in Paul’s case because of his Roman citizenship, but this is not an exact description of what really happened (see ⇒ Acts 21:31-33; ⇒ 22:25-29).